A graduate from Istanbul Technical University Architecture Department, Hasan Cenk Dereli has a M. Sci. in architecture with the thesis named "Everday Creativity in City-Scape" that examines the city dwellers creative contributions that shape the everyday life and urban space. 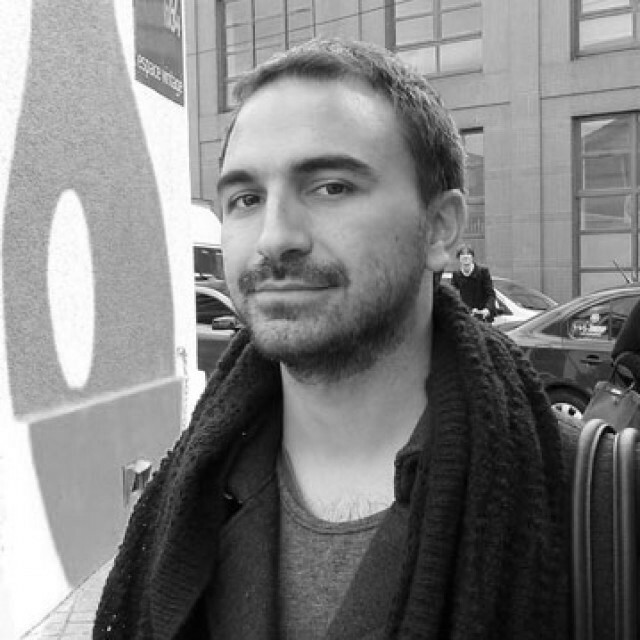 He is a PhD Candidate in architecture working with urban politics and proactive design ideas. His personal creative productions define a practice span from radio production, music, design research to events organization. With his works, he took part in Ljubljana and Istanbul Design Biennales. In 2011, he had been selected to the Parsons Paris Creative Residency Program in Paris and in 2015 to IASPIS Residency Program in Stockholm. He is one of the members and project coordinators of pro-bono architecture practice Herkes İçin Mimarlık Derneği (Architecture For All Association). He is the founder and manager of Nobon, a creative office organizing events and producing design ideas. “Izmir is a big wedding hall,” Tamer Varış once said. Considering the feeling the local governing bodies generate as they are managing the urban culture, he is not wrong. The creation processes of the city, like most of everything else in it, are under the strict control of the government.